Shopping for a camper can be fun, but it can also be overwhelming. There are so many options out there with so many fun amenities, how do you choose? There are benefits to owning a travel trailer and benefits to owning a fifth wheel. A lot of your decision might be based on HOW you are going to use the camper. Is it for a yearly vacation and quick weekend trips or do you plan on spending an extended period of time in your camper? Equipped with the answers to these questions and more knowledge of travel trailers and fifth wheels, you will be able to make an informed decision on which camper is best for you. First, let’s explore the benefits of a travel trailer. The travel trailer is a perfect camper for families that take mostly shorter vacations and fun weekend trips. The light weight and tow-ability is a draw for families that don’t want to have to purchase a large truck. A travel trailer is also ideal for couple’s who want to set off into the sunset together and see the countryside. 1. Towing – With a travel trailer you have more options of vehicles that can tow your camper. Depending on the size, travel trailers can be towed by vehicles as such as a sedan, small pickup, SUV or even a minivan. This allows you to have a camper without having to purchase a new vehicle to pull it with. 2. Fuel Savings – Since a travel trailer has a lower towing profile, your tow vehicle will tend to get better gas mileage than when towing a larger fifth wheel. 3. Cost – Generally speaking, a travel trailer costs less money up front to purchase than the larger fifth wheel option. 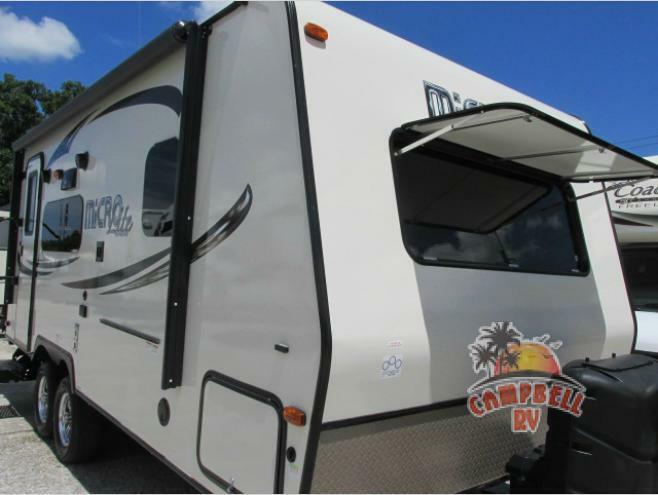 Come explore Campbell’s travel trailers. What about a fifth wheel you ask? Fifth wheels are very popular for couples who enjoy extended time on the road or need extra space. With so many options for sleeping and the extra large kitchens and living areas, spending more time on the road will be a source of joy, not of stress. 1. More Space – 5th wheels are taller and have more head space inside. The living areas are typically larger and can be extended even more with slides. Space is a great thing to have when traveling with a large family or group of friends. 2. Towing – The 5th wheel is popular because it produces a smoother tow than the travel trailer which tends to cause a sway. 3. Creature Comforts – Whether you go mid or high end with your fifth wheel, there is a luxury present that is not available in most travel trailers. With extras such as solid cabinets and solid surface counters to residence styled furniture, you will feel like you are in a luxury resort, not a camper. Venture into one of our 5th wheels. If you are still trying to figure out your best option for your next camping adventure, contact Campbell RV for help. 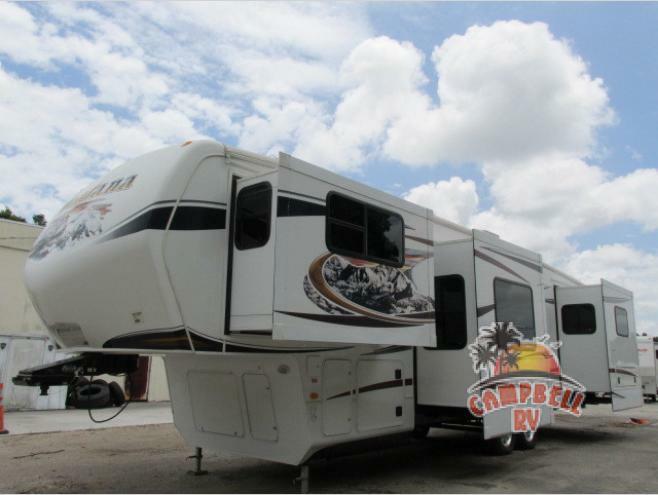 With over 20 years of experience, the Campbell RV family is sure to help you pick the camper that is perfect for whatever kind of adventure you embark on.